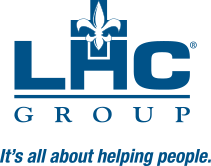 At this year’s LHC Group Leadership Summit, we will be focusing on our six Pillars of Excellence and our company’s Culture – one that began 25 years ago to serve people and make healthcare work better. We’re asking you to bring your WHY – a printed sheet of paper with an image, a few words, or a brief story that explains or represents WHY you work in healthcare. We’re looking for things or people that inspire you, maybe the reason you entered healthcare, or the reason you stick with it each day. The links below are full of information designed to help you find what you need while you’re at Summit. If you have more questions, find a Summit Specialist – look for the green flags on their name badge.